Among the incunabula of animation cinema, perhaps no other work is as revered and well-known to scholars, students, and cartoon aficionados as Winsor McCay’s Gertie. Aside from the technical innovation, the astounding feat of producing thousands of nearly-identical handmade pen-and-ink animation drawings, and its sustained length (almost eight minutes), the film endures because of one central feature: Gertie is adorable. Her prodigious appetite (literally eating the scenery), her innate curiosity about her world (populated with four-winged lizards among other oddities), her unexpected prowess as a dancer (demonstrating the latest two-step craze), her semi-domesticated disposition (snapping at her trainer/animator McCay), and her drama-queen reaction to McCay’s admonishment (crying some gigantic tears) all combine to create the first fully developed animated being that might truly be called a cartoon performer. Yet, Gertie is not entirely a creature of the dawning cinema. Her emergence from the primordial cave that McCay drew in his “setting,” comes when filmmaking, exhibition, and moviegoing practices were at a fork in the road, or many forks, according to film scholars of the “transition period,” Charlie Keil, Shelley Stamp, and Rob King. [i] The dinosaur is new life created, not by a magician, but by one of the twentieth century’s new reigning technologies, the motion picture apparatus, and by one of its most innovative masters. Yet, she is also a fossil excavated from the past. Gertie belongs to the realm of popular theater, of vaudeville and its many variegated “attractions.” This institution was undergoing cataclysmic economic and artistic change caused in large part by moving-picture competition. Yet, McCay’s spectacular stage success demonstrates that reports of its death were premature. His multimedia mashup used cinema to revitalize the vaudeville experience, but it also used liveness and the created illusion of a live performer to establish the parameters of something new—animation cinema. It was like “regular” film in its recorded performances that seem to unfold immediately and immersively in the present. Fig. 1. The dinosaur acknowledges the audience’s applause as she exits the frame with animated Winsor aboard. Winsor McCay, Gertie, 1914. But animation is also like the stage in its ability to create the illusion of audience-actor interactivity and spontaneity, however scripted the show might have been. And the powerful presence of the showman is not only physically present, guiding the spectacle in the persona of an animal trainer, but also implicitly present within the film as a drawn being. This happens when the animatee (Gertie) becomes the animator as she hoists him up by her mouth, carries him out of the frame, and complicity smiles and nods to the cheering audience (see fig. 1). At this moment, the film reveals that the seemingly stable relationship that kept the toon character and animator (and audience) in contiguous but separate worlds, turns out to be a trick on the viewer. In fact, the animated being and its creator have a certain commutative status, with each an effect of the other, an egalitarian relationship that would be felt again and again throughout the classic period of cartoons—and beyond. Most of those who know Gertie also know that the animation sequence originally was integrated into a live performance. However, the version of the film that we now know includes a live-action framing story wrapped around the animation. It was released to film exhibitors for the Christmas season of 1914 by Box Office Attractions, a company that had been organized in January of that year by a small-time theatre manager turned movie distributor, the future mogul William Fox. We see McCay perform for his dinner-party friends in front of an easel. When the animation begins, his interactions with Gertie are represented as standard movie intertitles. [ii] This device was a practical adaptation of McCay’s live interaction with the audiences attending his several performances on the United vaudeville circuit throughout the year 1914. For a while, in 1915, McCay and Gertie on stage competed directly with the duo preserved in the amber of cinema. Historians have known all along that the Fox version of Gertie differed significantly from the stage version. The addition of footage depicting a wager among friends robbed the work of its theatrical setting. Physically, introducing intertitles required removing frames, that is, images of animated drawings, before and after each splice. There were some longer excisions too, some of several seconds. There have been many attempts to recreate the vaudeville show, most prominently on an early Disneyland broadcast (30 November 1955). Periodically there have been efforts to revive the live performance at Pordenone and other film and animation festivals. These presenters simulated the vaudeville show by editing out the live-action and the intertitles, and in so doing certainly captured the spirit of the original. This reverse-engineering, though, neither restored the complete film nor the high quality of the original 35mm nitrate material. Furthermore, the technique did not address the most glaring difference between the Fox and the stage versions, the omission of the culminating moment of McCay’s act, a theatrical encore. As far as I know, no one, until now, has attempted to recreate Gertie’s original curtain call. Encores were (and are) an expected component of live performances, especially vaudeville, and we know that McCay’s act was no exception. There is, crucially, an eyewitness account of the 1914 show and its encore written by animation pioneer Emile Cohl, who attended the performance at Hammerstein’s theatre in New York City. McCay annotated the sequence in his production notes, now conserved at the Cinémathèque Québécoise in Montréal. And several of the drawings that he executed survive at the Billy Ireland Cartoon Library & Museum at the Ohio State University. So, we know what an “original” version of McCay’s footage would have looked like, but does it exist as an archival entity? Probably not. Fig. 2. Winsor McCay at work, ca. 1913. Courtesy Kim Pedersen. Based on physical cues provided by closely examining the various fragments of Gertie that are preserved at the Library and Archives Canada in Ottawa, it is possible to surmise that the Fox staff cannibalized McCay’s projection print to create the Box Office Attractions movie. No camera or printing negative is known to exist. The question has always been, how to recover McCay’s lost original footage. Enter the Gertie Project. David L. Nathan, M.D., a psychiatrist by trade, for years had pursued his dream of reanimating Gertie using Winsor McCay’s original drawings. He maintained a website (now on hiatus) called the Gertie Project. What better way, Dr. Nathan reasoned, to restore the film than by rephotographing the original elements? He began collecting copies and scans of extant drawings, eventually accumulating several hundred facsimiles. Nathan’s work came to my attention during my research for Shadow of a Mouse and we collaborated on an article that outlined such a project. [iii] I mentioned this to Marco de Blois, the programmer and animation archivist at the Cinémathèque, who welcomed the challenge that Nathan had thrown down. We three are now the Gertie Project. Our research has been partially funded by my employer, the University of Notre Dame. Now, after three years of additional research, preservation work and high-definition scanning by the Ottawa archives, and laborious “forensic” restoration and animation by the National Film Board of Canada, we have what we believe to be footage that very closely resembles what McCay would have collected at the laboratories of the Vitagraph Corporation of America, where the cinematography was done, probably in December 1913. The restored footage improves greatly on the Fox prints that now circulate. We deliberately chose, however, not to over-correct. The original material was full of imperfections, both technical and artistic, that we opted to leave untouched. Basically, artifacts that were in the original—such as accidentally repeated photographs of drawings and sequences where rocks in the background disappear and come back—are still there, as is the infamous “weave” of the background lines caused by retracing the same drawing a few thousand times. And yes, there is an encore. For missing frames in a sequence that had no replacement either in any surviving film stock or extant drawings, a National Film Board animator created in-betweens in McCay’s style. To avoid confusion with original drawings, each of these facsimiles has a barely visible NFB watermark in the final prints. Fig. 3. 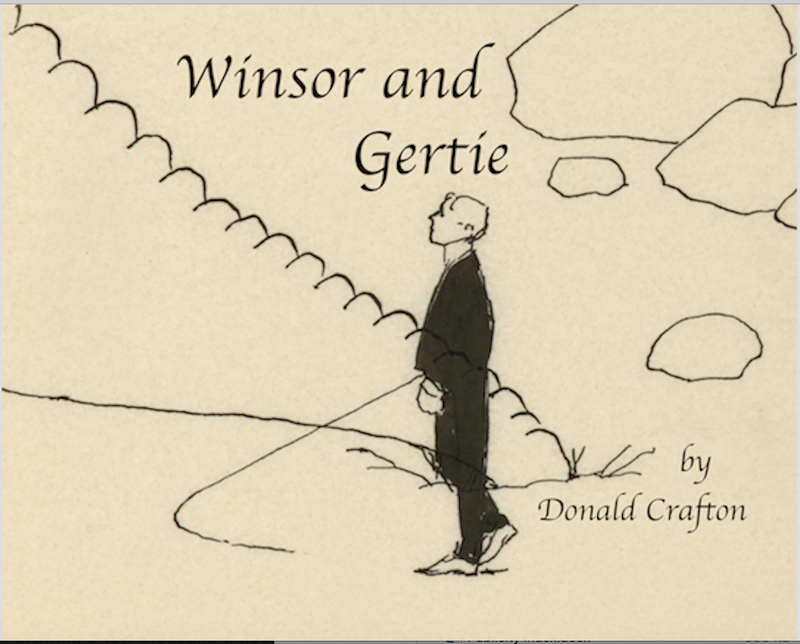 The poster of the Winsor and Gertie playlet. The reconstruction of the stage version premiered in Annecy, France, in June 2018. In order to introduce McCay and his inspiration to general audiences, I have written a vaudeville-inspired playlet called Winsor and Gertie (fig. 3). [vi] Its world premiere will take place on 7 October 2018 at Le Giornate del Cinema Muto, in Pordenone, Italy, and will include a live performance of the newly completed film, featuring Anthony Lawton as Winsor McCay. We already know that Gertie has not looked—or sounded—as good since 1914, when Winsor McCay, whip in hand, coaxed the timid dinosaur from her cave. Now an artifact from the Jurassic era of animation meets, greets, and dances for new audiences in a new century and a new age of entertainment. Donald Crafton is Robbie Professor of Film, Television, and Theatre (retired), University of Notre Dame. 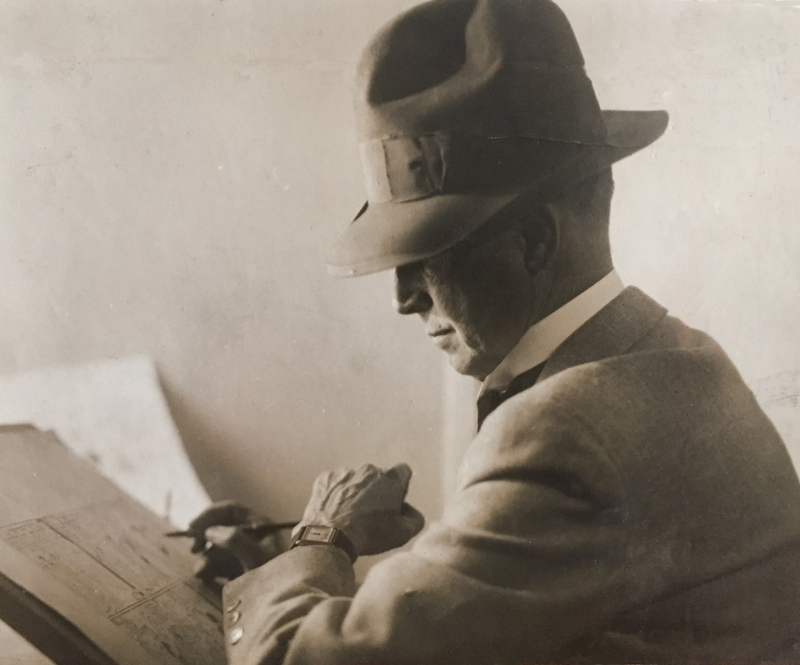 His books include Emile Cohl, Caricature, and Film (1990), a monograph on the French cinema pioneer and inventor of animation cinema; Before Mickey: The Animated Film, 1898-1928 (1982, revised 1993), which was the first survey of animation in the silent cinema; and The Talkies: American Cinema’s Transition to Sound, 1926-1931 (1999), an expansive treatment of the cultural and industrial history of this decisive period. His most recent monograph is Shadow of a Mouse: Performance, Belief, and World-Making in Animation (2013), recipient of the Award of Distinction in the Anne Friedberg Innovative Scholarship from the Society for Cinema and Media Studies. [i] Charlie Keil and Shelley Stamp (eds. ), American Cinema’s Transitional Era: Audiences, Institutions, Practices (Berkeley: University of California Press), 2004; Rob King, “Movies and Cultural Hierarchy,” in Charlie Keil and Ben Singer (eds. ), American Cinema of the 1910s: Themes and Variations (New Brunswick, N.J.: Rutgers University Press), 2009, 115-138. [ii] The same style of title card and typography may be seen in A Fool There Was (dir. Frank Powell, 1915), a contemporaneous film distributed by Fox’s Box Office Attractions. 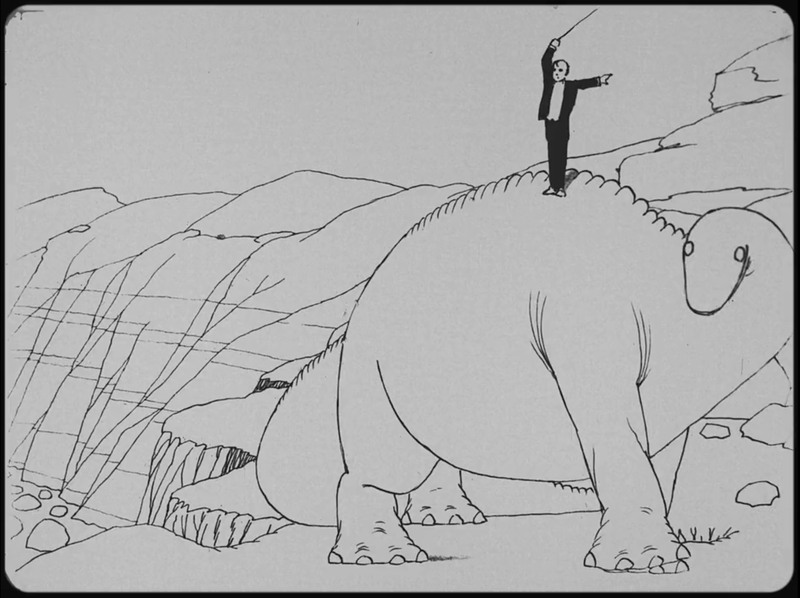 [iii] David L. Nathan and Donald Crafton, “The Making and Re-making of Winsor McCay’s Gertie (1914),” Animation 8:1 (11 January 2013), 23-46. https://doi.org/10.1177/1746847712467569. [vi] Gertie reconstruction (vaudeville performance and film, 2018): animation reconstruction: National Film Board of Canada/Office national du film du Canada; production: National Film Board of Canada & Cinémathèque québécoise, with the support of University of Notre Dame; producers: Michael Fukushima (National Film Board of Canada), Marcel Jean (Cinémathèque québécoise); executive producers: Donald Crafton, Marco de Blois, David L. Nathan. Films and documents curated by Cinémathèque québécoise. Research funding: University of Notre Dame. Concept, analytic research, and animation prototype for the Encore: David L. Nathan. Animation technical director: Éloi Champagne. Forensic animation: Luc Chamberland. Forensic restoration: Sylvie Marie Fortier. Special thanks to Éléphant: The Memory of Quebec Cinema/La mémoire du cinéma québécois. This is a rather stunning article, Alison. Good old Donald Crafton. Favorite part: tables are turned, Gertie becomes the “animator” of the act. This enhance version of Gertie played at the Summits of Cinema at the Cinematheque last fall but I could not make it to the screening. Did you see it? I love looking at your materials for the course.